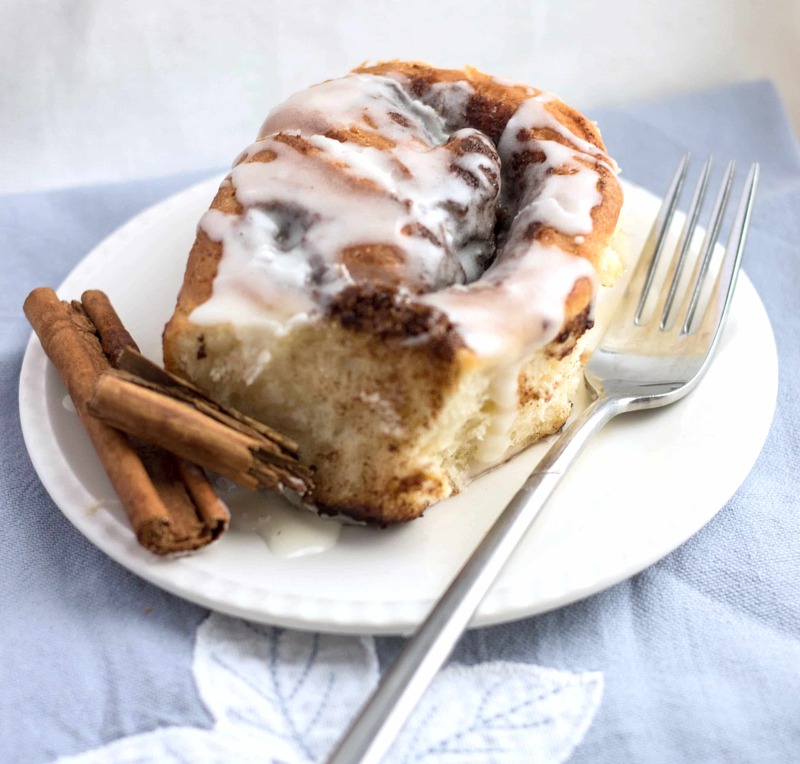 This Classic Cinnamon Buns Recipe is perfect – they come out golden on the outside and soft & fluffy on the inside! 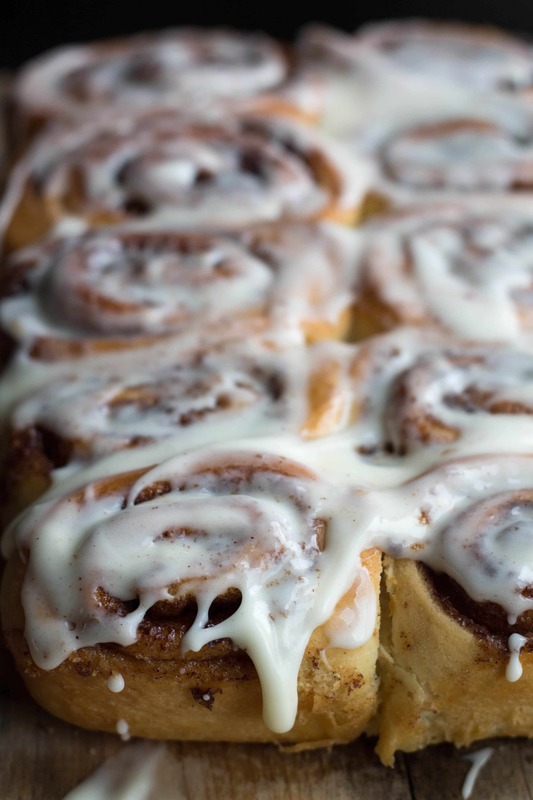 Cinnamon buns are yet another thing that doesn’t exist in the UK. They have other similar things, but not a true cinnamon roll and I have missed them more than I could say because they are one of my very favorite things in the world. 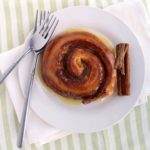 I have been trying to master Cinnamon Rolls since I started this blog and I have to be honest, before now, it hasn’t gone well. 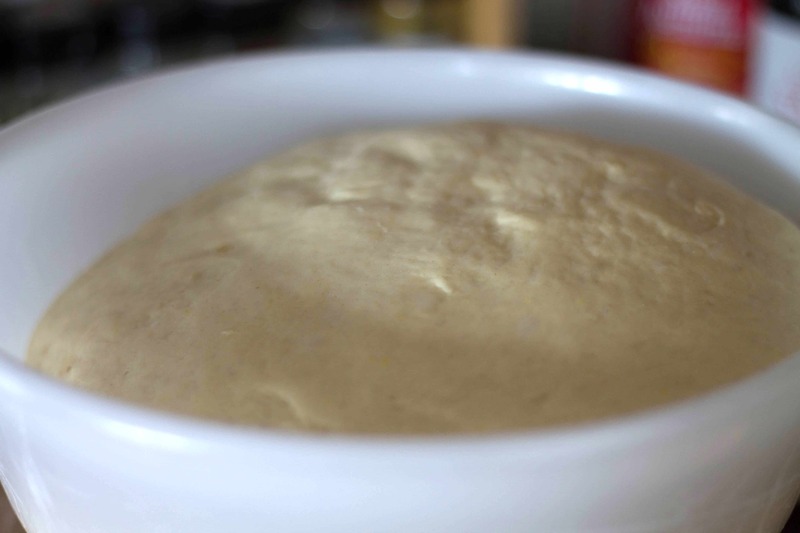 Here is what I was doing wrong – I was trying to knead the dough using my food processor. Turns out that if you want to do something right, you have to do it yourself because I did these by hand and they came out amazing! They are soft, sweet and delectable! 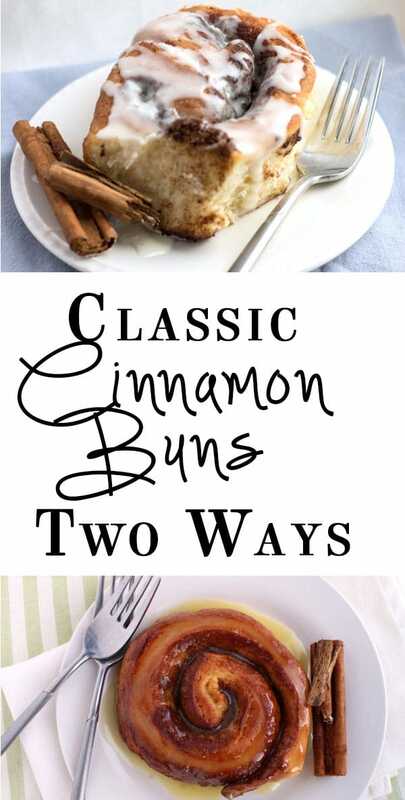 I made these two ways: Glazed glazed individual buns & a batch with thick icing which I have pictured in the step by step photos below. I’ve provided instructions in the recipe for both, but either way, they are fantastic and they both use the same dough and assembling instructions. Tip: If you want to serve your buns in the morning, you can prepare them the day before. 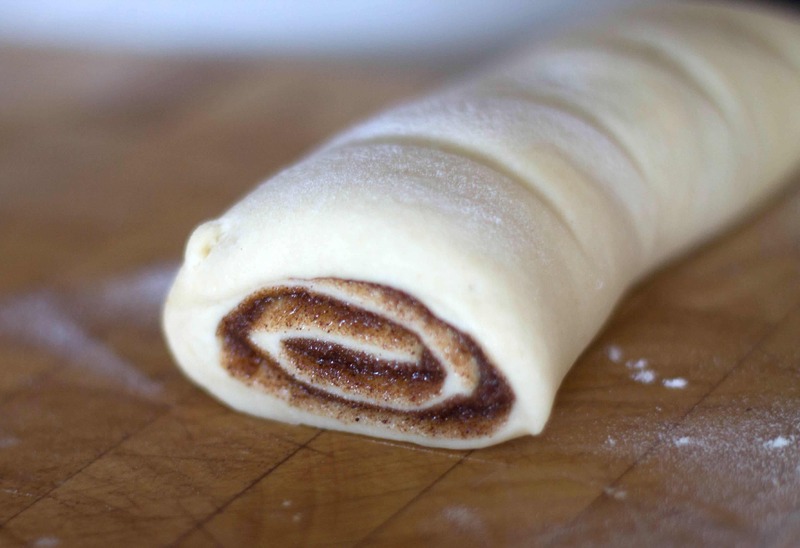 Just prepare the buns to the point of cutting the dough and putting them in the pan. Then cover them and place in the fridge overnight. The next morning you can take the buns from the fridge and place in a cold oven. Set the oven temperature and bake for 40 – 45 minutes. By the time the oven gets to baking temperature, the buns will have raised the right amount. In a small bowl, dissolve yeast in a 1⁄4 cup of the hot milk and set aside. Spread melted butter all over dough. 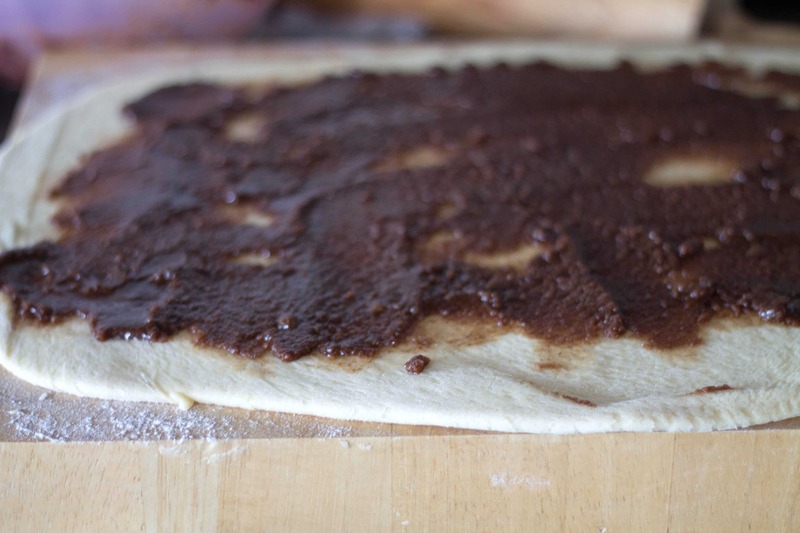 Mix sugar and cinnamon and sprinkle over buttered dough. Coat the bottom of two baking sheets with butter. 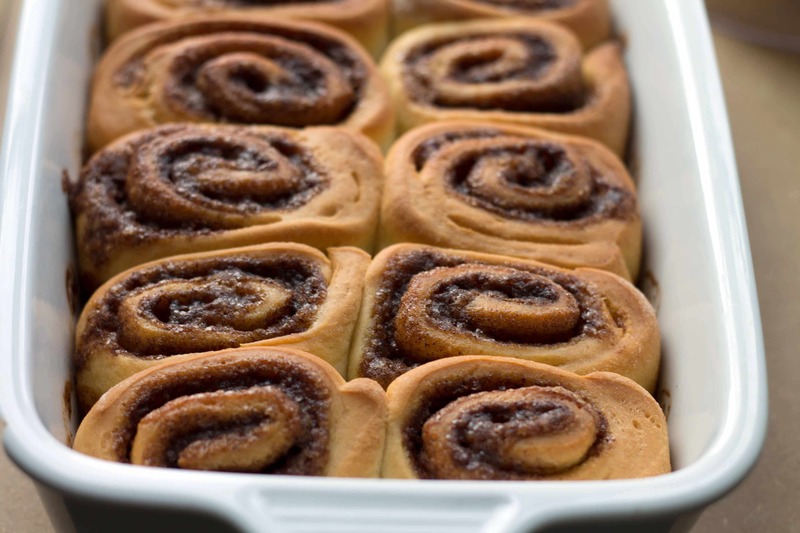 Place half the cinnamon buns on each sheet at least 3 inches apart on the baking sheet. 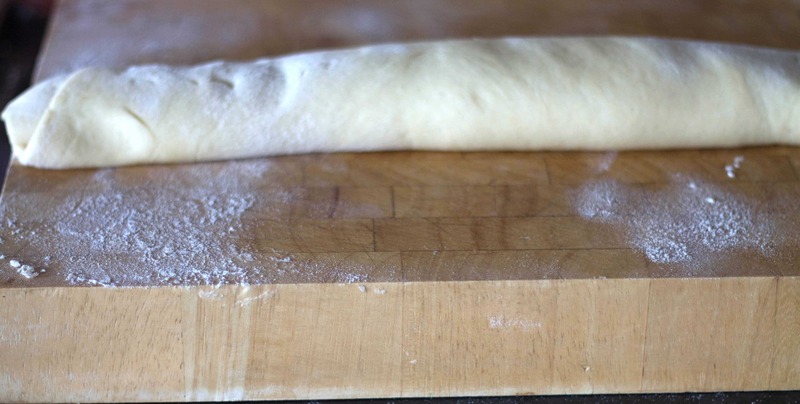 Let rise until dough is doubled (about 45 minutes to an hour). Meanwhile, In a mixing bowl whisk together 2 tablespoons of the milk, the melted butter powdered sugar, and 1⁄2 tsp vanilla extract. For the glazed version: Spread over warm buns. For the batched iced version, ice the buns once cooled. I did the overnight in a 13x13x9inch pan in the fridge and they’re in the oven now and smell amazing! Thanks for the recipe!!! !